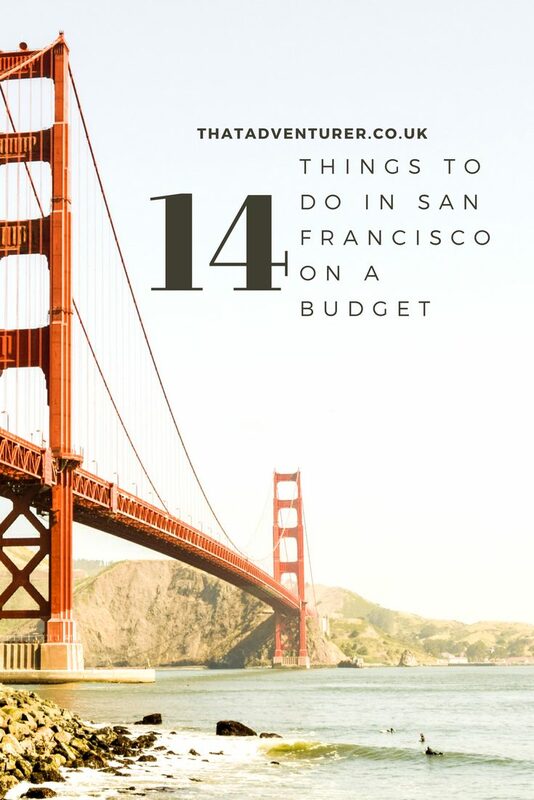 Given it’s proximity to the infamous Silicon Valley and all its billions of dollars, San Francisco isn’t a city which springs to mind when you think “budget travel”. 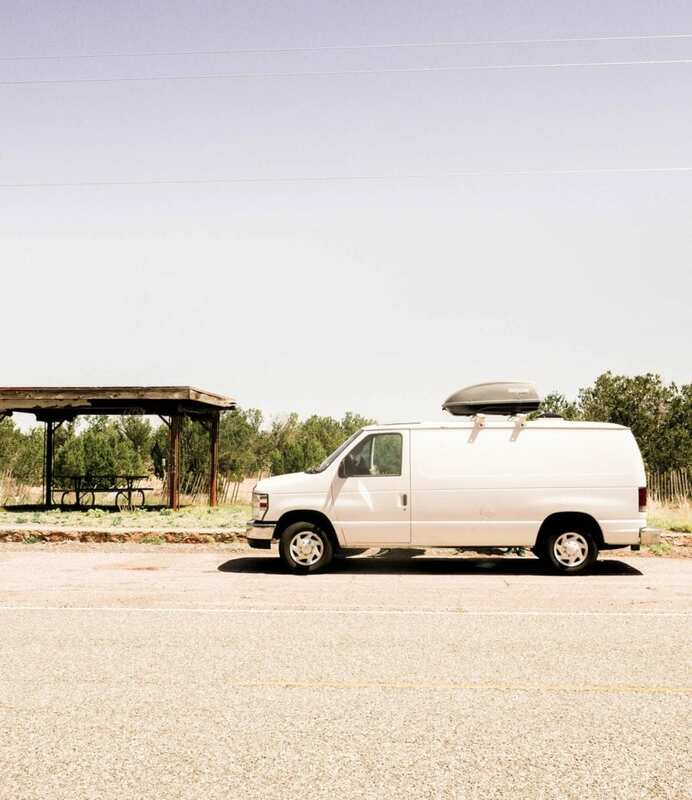 But, like with most cities, there is plenty you can do and see on a budget. 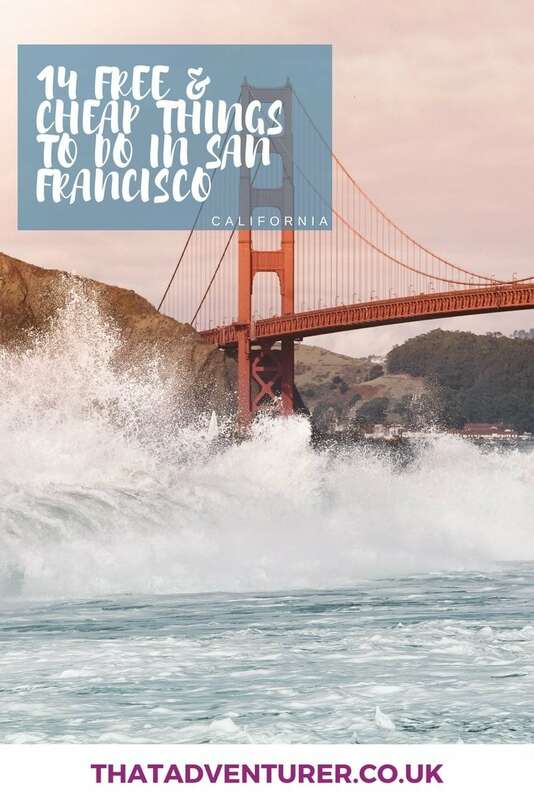 And, actually, a lot of the best things to do in San Francisco on a budget are also the city’s top sights. It took me a day or so to warm to San Francisco. When we pulled into the city on a Saturday evening I liked it. But, on the walk to dinner, some drunk/high guy slapped my arse, we saw a man walking around trouser & boxer-less and the waitress at the restaurant was so keen to turn over our table that she told us the dessert they served wasn’t worth waiting for to hurry us up. However, the following day we set about exploring the city and got to like it a lot more. 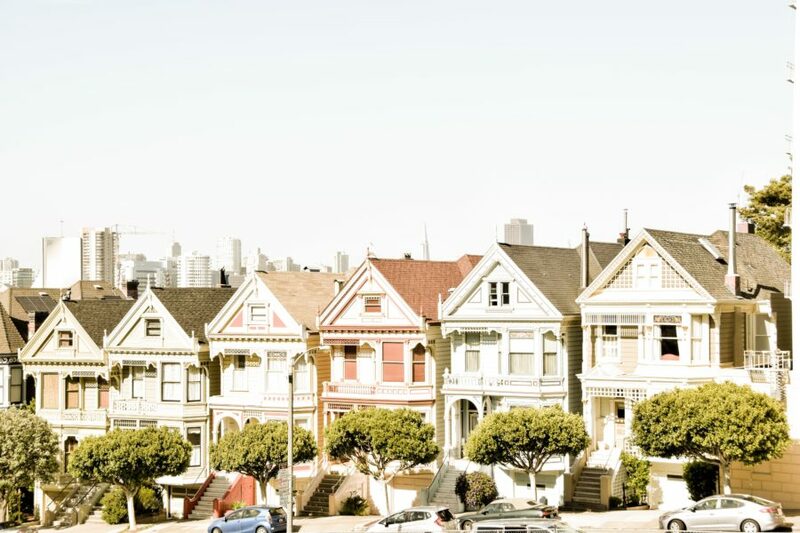 Here’s how to fill your day with things to do in San Francisco on a budget! 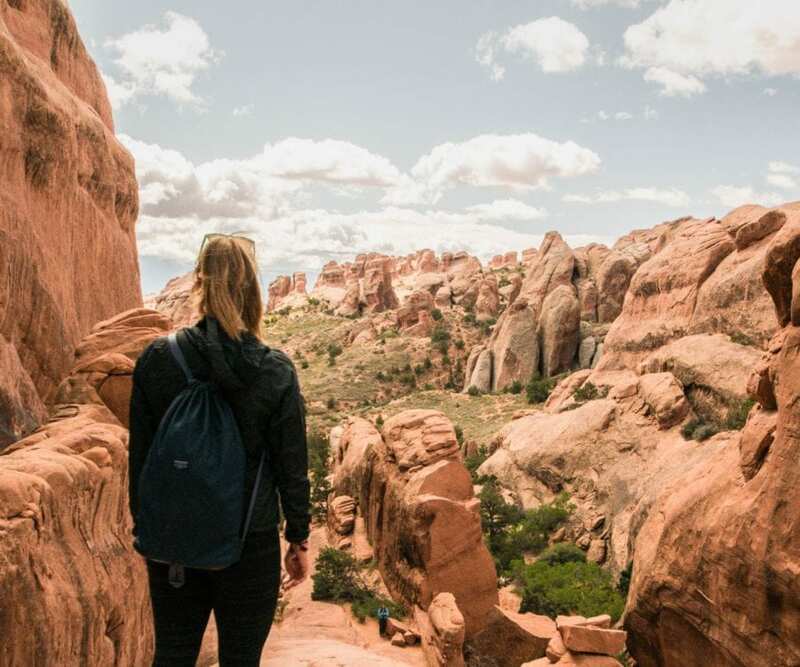 Want more things to do in California? 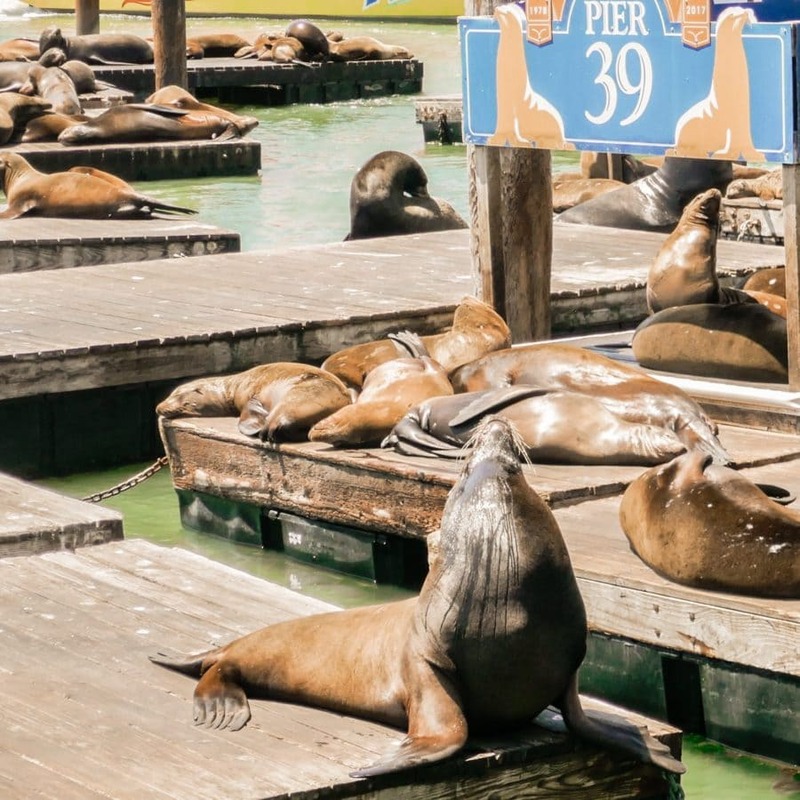 San Francisco’s sea lions are amongst the city’s most famous residents. After an earthquake in 1989 the sea lions moved into the pier and they’ve never really left. They seem to spend most of their day sleeping, barking and pushing each other off into the water. They really smell, but it’s good fun to watch them and completely free! You probably couldn’t get more touristy than this but clam chowder is good and it’s a fun thing to do. Grab a clam chowder in a bread bowl from one of the numerous stalls near the sea front (about $6) and enjoy. Watch out for the pesky sea gulls though – and please don’t feed them! 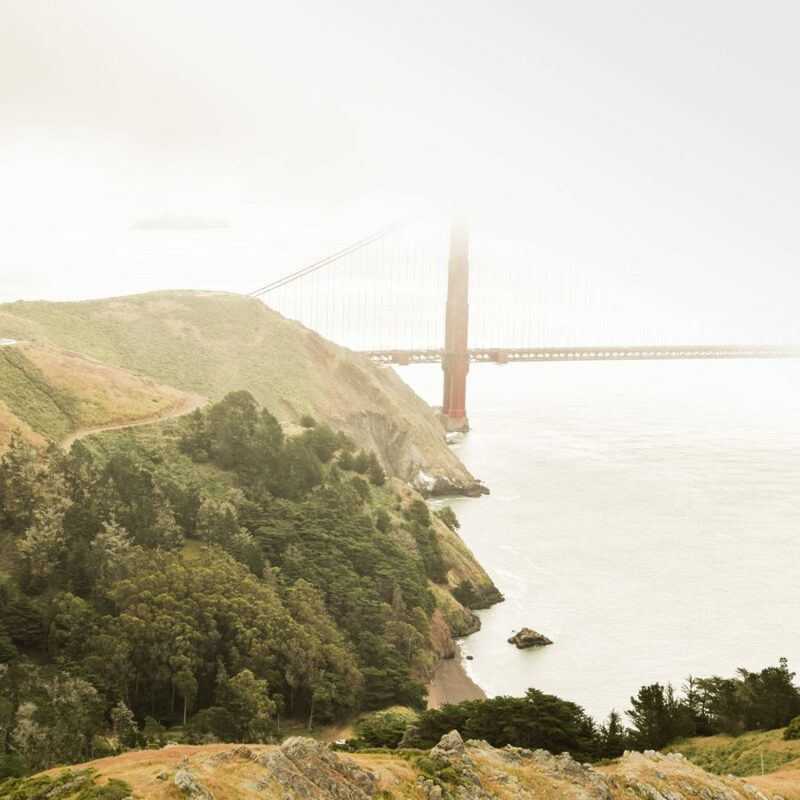 There’s more to the Golden Gate Bridge than simply walking across it. There’s so much history to the surrounded areas and plenty of old forts to go exploring too. Park up on the south side of the Golden Gate Bridge and take a walk along one of the many signposted trails. Or, head over the bridge to the north side and walk around Battery Spencer. Wherever you go you’ll get some great views of the Golden Gate Bridge, Alcatraz and the ocean. If the sun’s out and the San Francisco wind isn’t too strong then take a picnic in the Golden Gate Park. It’s an absolutely massive park (1,00+ acres!) and great to explore one afternoon. There’s a carousel, an aquarium and a Japanese Tea Garden too! Grab a picnic from Whole Foods on Haight Street beforehand if you’re feeling fancy. Top tip: It’s free to drive over the Bridge if you’re leaving San Francisco, but if you’re driving in towards the city you’ll have to pay the toll fare. Even better, it’s free to walk, run or cycle over the bridge and that way you’ll actually get to take in the views and the bridge itself. No matter how many pictures you’ve seen of the bridge, it’s still pretty impressive to see in person. I’ve heard it’s shrouded in fog most of the time so I think we got pretty lucky with the weather! These steps are a bit of a hidden gem – at least to most San Francisco visitors. 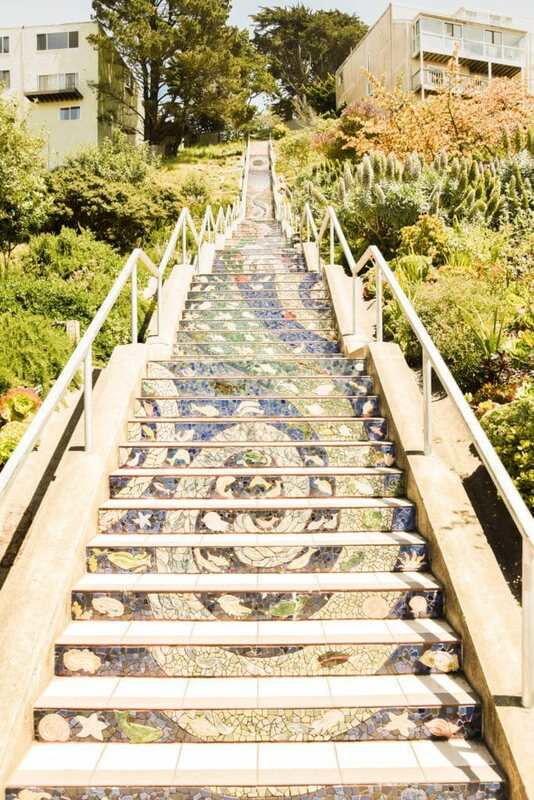 The 163 steps have been decorated in beautiful, coloured mosaic tiles. At the top there’s even a park you can relax in (after having climbed a few more, less colourful steps!). From the park you’ll also see a tiny part of the Golden Gate Bridge poking up behind the Golden Gate Park. Haight Street is pretty unique and is packed full of quirky shops. One of the best, and more well known ones, is Amoeba Music. Amoeba Music is an absolutely massive shop packed full of CDs, vinyls, DVDs, videos(!) and posters. It’s like HMV on steroids (and before it got rubbish). It’s well worth browsing. Personally I think these are massively overrated. I’m going to add them to the list anyway because I think they’re just one of those things you have to see in San Francisco. They were re-furbing the park when we were there, so our view of the houses wasn’t the best. Still, the Ladies didn’t seem that impressive compared to the other houses around them which I thought were much prettier. Sausalito is to the north of San Francisco and is a great little village to wander around. Many people hire a bike over in San Francisco then cycle over the Golden Gate Bridge before catching the ferry back to San Francisco. Because of this you’ll notice you have to pay to lock your bike up near the ferry while you explore the town which is a little crazy. Still, if you want to escape the madness of San Francisco then Sausalito is a great choice. On our first evening we took a s troll down Valencia Street in The Mission District. It’s full of bars, cafes, restaurants and a couple of bookshops too. I love a good bookshop and upon entering Dog Eared Books is a very good bookshop. It’s full of book on all types of genres including start-up and techie books. What more would you expect from a bookshop so close to the Silicon Valley? The Mission district in San Francisco can be a little bit dodgy but it’s also one of the cooler areas to visit – maybe just don’t go in the early hours of the morning, or late at night. 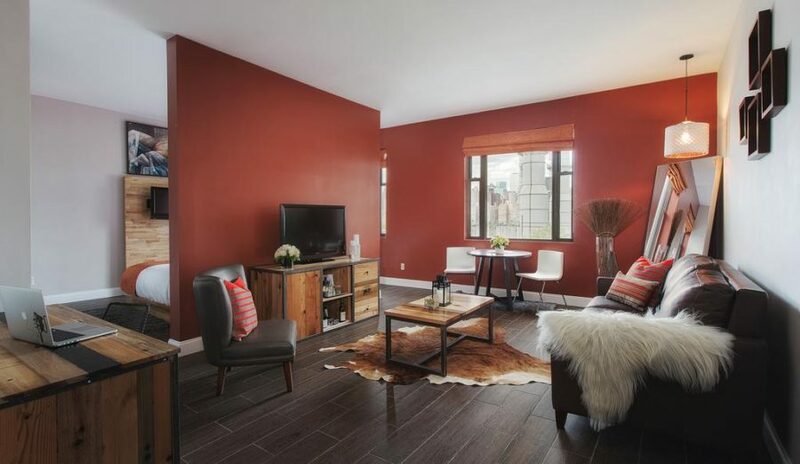 It’s the hipster areas of San Francisco so if that’s your kind of thing then head here. 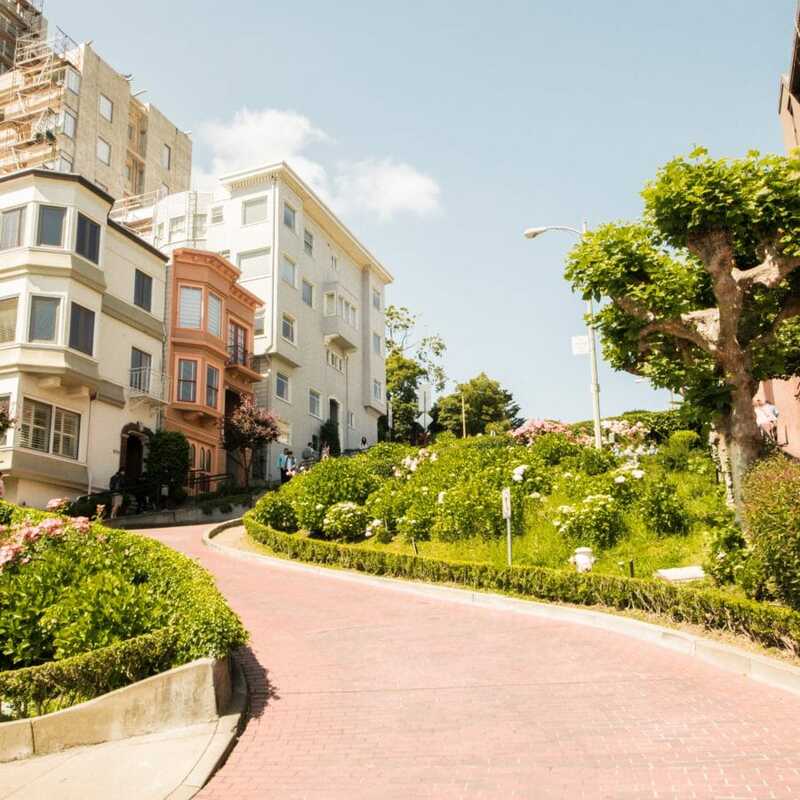 Another San Francisco classic is Lombard Street. You may know it as the super steep, twisty road. It’s super busy whatever time of day you visit and I can’t imagine what it’s like to actually live on that road. If you’ve got a car you can still drive down the road yourself if you really want to. We weren’t in San Francisco at the right time for the marketplace to be open but I’ve heard it’s supposed to be great. You can get all sorts of fresh foods and great coffee at the market and then enjoy them along the waterfront. 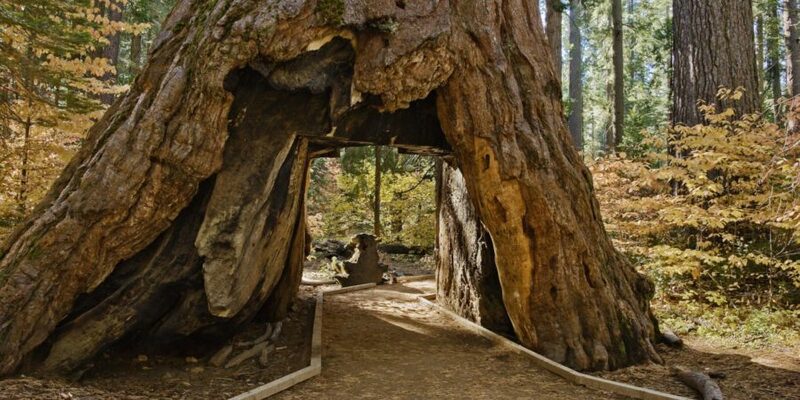 California is known for its redwood trees but they’re only really in the north of the state. If you’re only in San Francisco for a short amount of time and still want to see some traditional Californian Red Woods then head to Muir Woods National Monument. 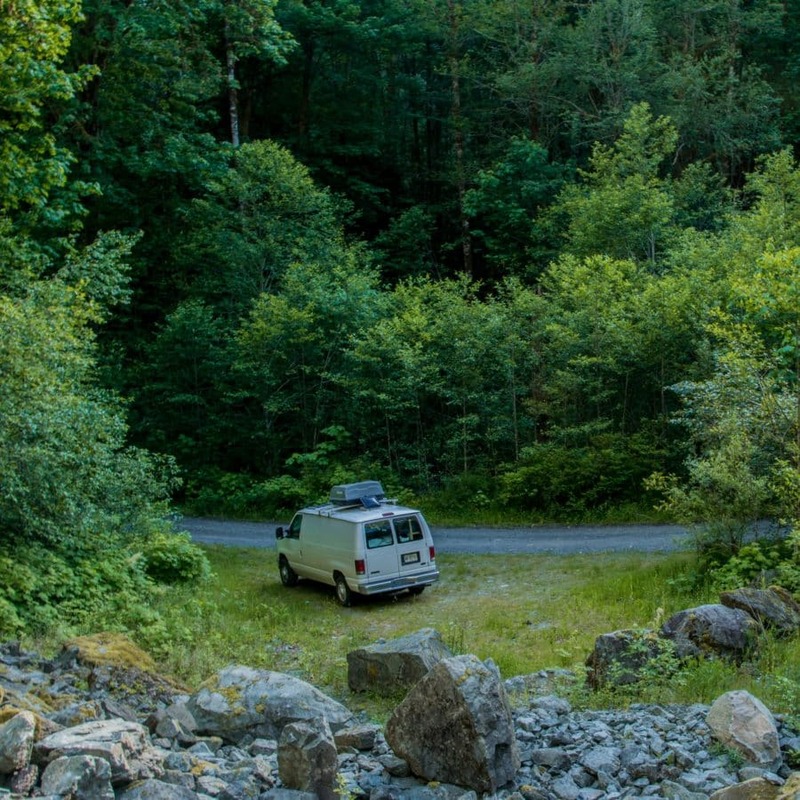 It’s under an hour away from the city and it has plenty of trails and huge redwoods for you to explore. It does get really, really busy though so go first thing in the morning if you want to get a parking space! 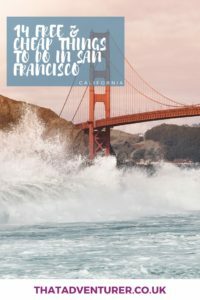 San Francisco is one of my favorite cities to visit and like you’ve mention it can be a pretty penny to visit. One of my favorite things to that you’ve mention is walking across the Golden Gate Bridge, you really get a sense of the wind effect from up there lol but the view of the city and the mountains are incredible. Great post! haha! I think the weather was pretty good most of the time we were there, wasn’t TOO windy on the bridge but I can imagine it does get pretty strong! I haven’t been to SF for YEARS, but John goes often for work! If we ever moved back to the States, we’d head there, as it’s not too far of a flight to my parents in Seattle, and it’s a great city! Will bookmark your guide for when I go again. Thanks for sharing this! Saving it for our San Fran trip next year!